Barcelona were right to fine Ousmane Dembele last month for being late to training, according to team-mate Marc-Andre ter Stegen. France international Dembele was reprimanded for reportedly arriving two hours late to a session on December 9, the day after he scored a fine goal in his side's 4-0 LaLiga win over city rivals Espanyol. Reports in Spain claim the fine was more than €100,000, with the 21-year-old said to have angered head coach Ernesto Valverde and the Barca technical staff with his poor punctuality this season. 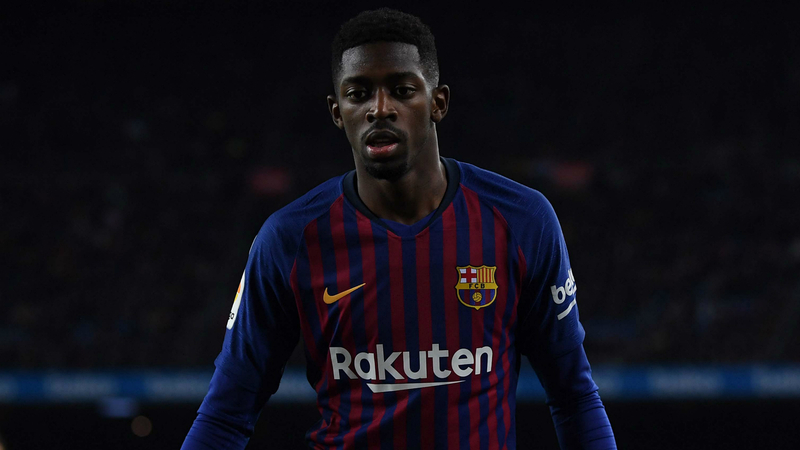 Dembele has been in excellent form since his latest indiscretion and has scored three goals in his last two appearances, against Levante in the Copa del Rey and Leganes in LaLiga. Ter Stegen hopes Dembele will learn from his mistake and is confident he can blossom into a standout star for the club under the guidance of more senior players. "The club has quite rightly reacted [in fining Dembele]," the goalkeeper told Sport Bild. "Ous is still young and will learn from it. "Basically, I have to say I like it that not all guys are the same in football, otherwise it would be boring. He is a talented footballer who will help us. He is not a complicated guy and is absolutely fine. "It is also up to us experienced players to push him a bit in the right direction. The rest has to come from himself." Ter Stegen himself is targeting the Germany number one spot, having been disappointed with Joachim Low's decision to name Manuel Neuer as his first choice at the World Cup despite the Bayern Munich man missing much of last season with a foot injury. "I want to push until Jogi Low decides on me one day, and I'll be the number one goalkeeper," he said. "I was convinced I'd played a very good season, so the moment when Jogi Low announced his decision was of course frustrating. "It has something to do with respect. I don't want to attract attention because I open my mouth."